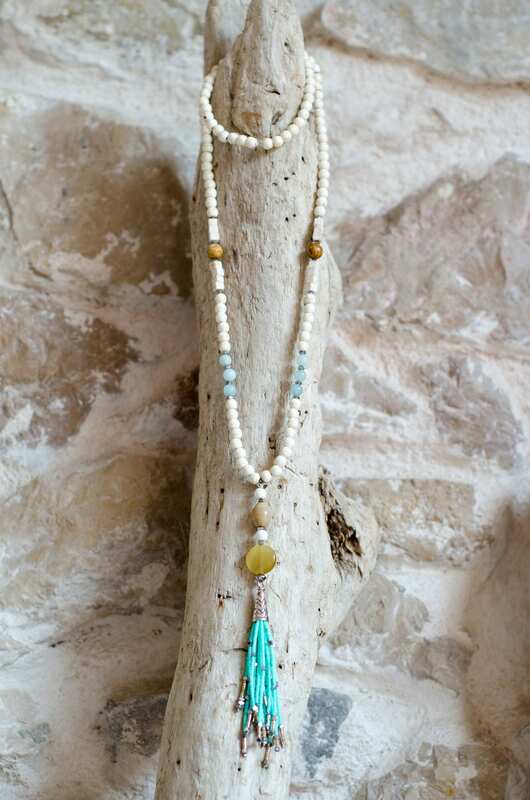 Long necklace made of semi-precious stones and glass and porcelain beads. 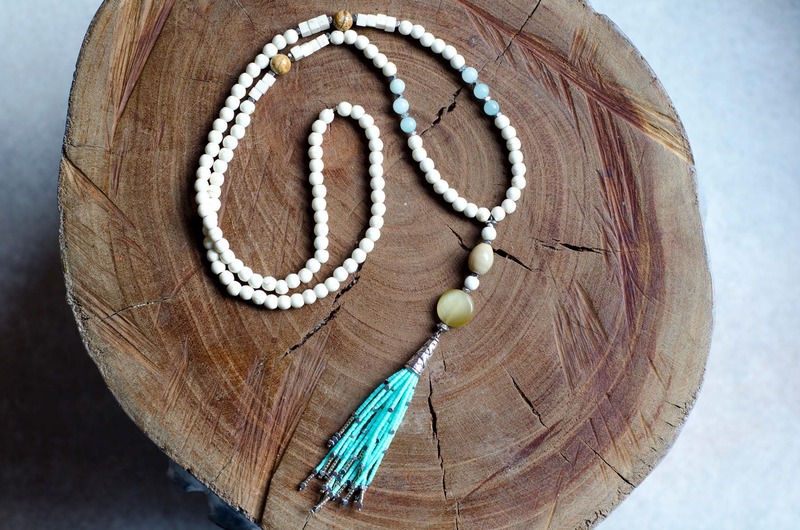 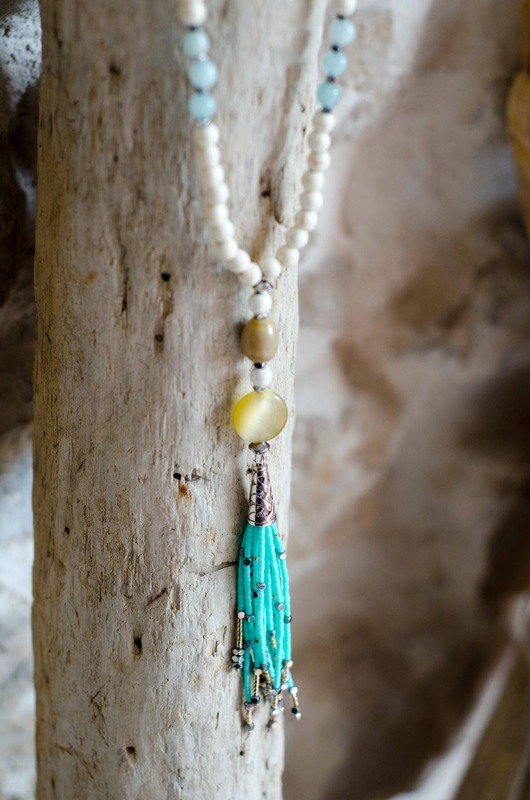 At the end of this necklace, a delicate pearl tassel made with Japanese seed beads Miyuki. 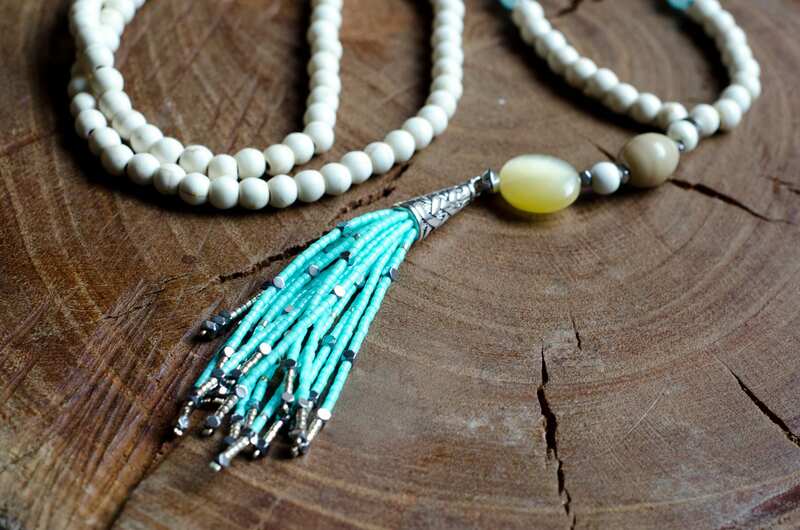 Materials : Glass beads, hematite and porcelain. 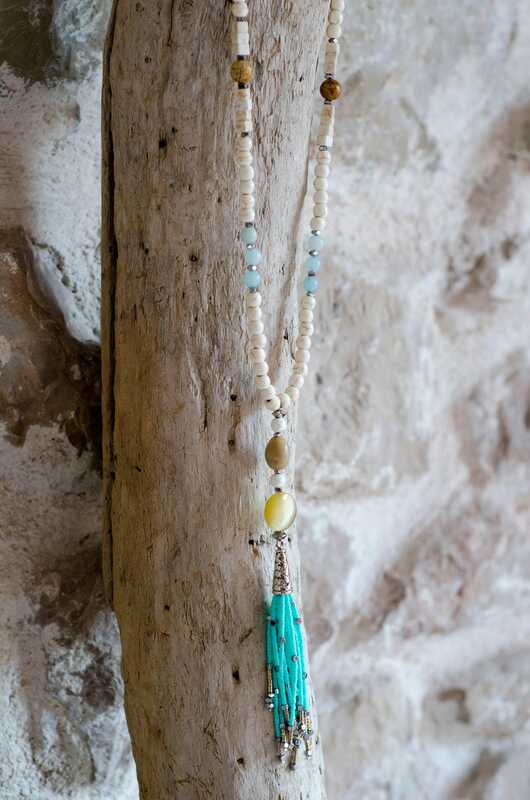 Stones in amazonite, jasper and reconstituted turquoise.